A reblogging / reposting from CaptKen’s WordPress blog. Seeing as we are so close to the border, it makes sense that once in a while we might pop down and visit the many ports and passes nestled within Washington. When we run into trouble down there our local towing buddies might not be able to come to our rescue so easily… Having this app could prove useful should such a situation arise. For example! I was bring my “new–to–me” boat back from Port Ludlow, WA. I had little information on her systems and little knowledge boating on salt water but I did have Boat U.S.! I was feeling confident and everything was groovy until the next morning when we woke up at the anchorage to find all my batteries flat and my anchor snagged on the bottom. It was mid–January so daylight was an issue as we had to get to the mouth of the Fraser by 15:30 at the latest to make it to the marina. Boat U.S. came to our rescue in less than an hour. He boosted us and tried everything he could to retrieve my anchor, to no avail. He was a good man and it probably made for a good story to tell his friends back home… the one about the three fools stuck on a boat in the middle of nowhere eating cold chili out of a can without spoons. I digress! A neat app for those who plan on venturing South to visit our good friends in Seattle and beyond. 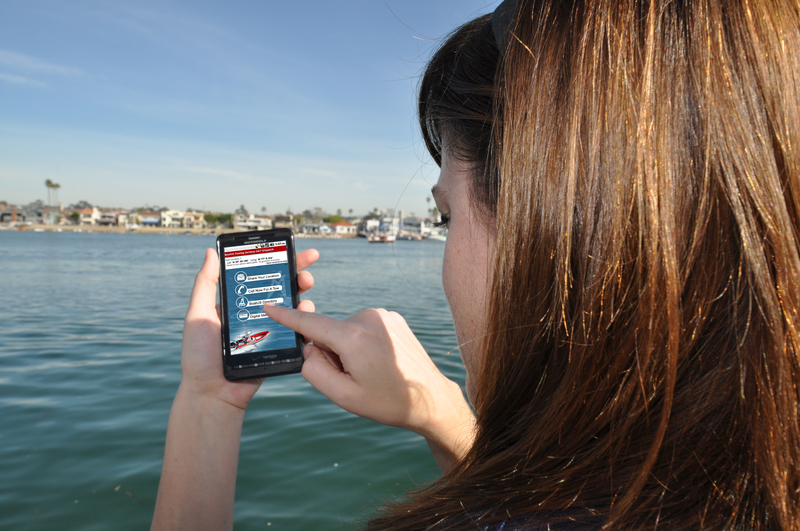 In addition to on-the-water towing dispatch, the App can be used to summon roadside assistance when you’re trailering your boat down the highway. BoatUS has access to over 18,000 roadside service providers with the ability to safely handle boat trailer breakdowns and get you on your way.BoatUS offers on-the-water towing service plans – much like a roadside assistance club for boaters – for freshwaters for $58 a year and saltwaters for $149 which includes BoatUS or BoatUS Angler membership. Roadside Trailer Assist can be added for an additional $14. Go to http://www.BoatUS.com/towing or call 800-395-2628 for more information. Boaters can also contact their local tower on VHF channel 16, or by calling the BoatUS toll-free Dispatch Service at 800-391-4869About BoatUS: BoatUS – Boat Owners Association of The United States – is the nation’s leading advocate for recreational boaters providing over half a million members with government representation, programs and money-saving services. For membership information visit www.BoatUS.com or call 800-395-2628.